Lisa Koblin assists employers with labor and employment disputes, including litigation in state and federal courts as well as mediation. 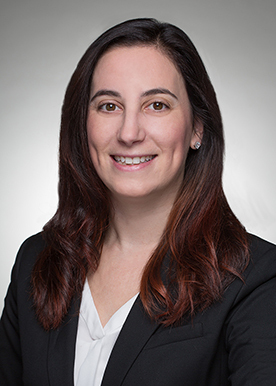 She provides counseling on employee handbooks and policies, non-compete agreements, anti-discrimination statutes, wage and hour laws, and joint employer liability. Her experience providing human resources training covers topics ranging from conducting effective investigations, to complying with the Fair Labor Standards Act (FLSA), Title VII, the Americans with Disabilities Act (ADA), the Family and Medical Leave Act (FMLA) and state and local employment laws. She also represents clients responding to OSHA citations and unfair labor practice charges before the National Labor Relations Board (NLRB), and defends clients who arbitrate employee grievances before the American Arbitration Association. Lisa’s experience with labor and employment law is also informed by her past involvement with employment-related cases when she served as a deputy attorney general for the New Jersey Office of the Attorney General. Lisa was first-chair in a successful employment litigation trial in state court, obtained summary judgement on behalf of an employer and defended state agencies and individual employees from lawsuits. While in law school, Lisa completed an externship with the U.S. Attorney’s Office in the District of New Jersey.